Ready to get in the best shape of your life? 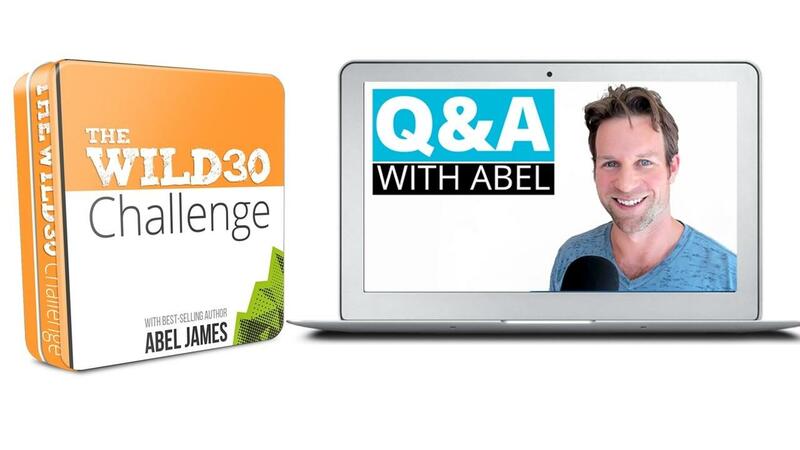 Join the Wild30 Challenge to spur fat loss and total body transformation. 30+ Days of Fat-Burning Videos, tips and tools sent straight to your inbox to guide you to shedding fat and feeling great. Track Your Progress with our interactive dashboard, checkmarks and progress bars that make burning fat more like a game. Get Motivated with our Wild Superfoods Giveaway: Everyone who completes the challenge will be entered for a chance to win a 6-Month Supply of Future Greens, our organic superfood greens. Bonus #1: Quick Start Guide designed to give you a very quick and simple overview of The Wild Diet. Bonus #2: Wild 30-Day Meal Plan with simple steps to prepare your meals ahead of time, along with a menu, and shopping list. Bonus #3: Motivation Journal is designed to track your meals, exercises, sleep, and mindset. Note: You will get instant access to the challenge material. No physical products will be shipped.